Available on Amazon in both paperback and Kindle formats. The first time I read this book, it held me captive, curled beneath my comforter until it was done with me. Recently, it was released under a new publisher and with a new cover. Dusk and Summer kept me prisoner for a second time this afternoon. The novella published by Pinto in 2008 is a deeply personal metaphysical journey that we are guests on. The beginning of the novella brought out the English teacher in me; I wanted to make some corrections. It seemed to me like he was using to many words when fewer would have allowed the tale to flow more evenly. Don’t allow the rocky beginning to turn you off. It has a purpose and if you let it, it will take a hold of you. Pinto is a gifted storyteller knowing which elements of the story to share and which to hold back. If you are tempted in novels to skip the forward and go straight to the meat of the book; don’t. You will miss some much needed information about the author and how this book was birthed as well as the love behind it. All books in one form or another are born of an author’s heart. This one came from a love grown and nurtured over decades between a father and a son. It is also about letting go and following the wishes of a love one. This is a book about one man’s search for meaning; about a son looking for a way to fulfill his father’s last wish and finding strength in his father’s life and death. 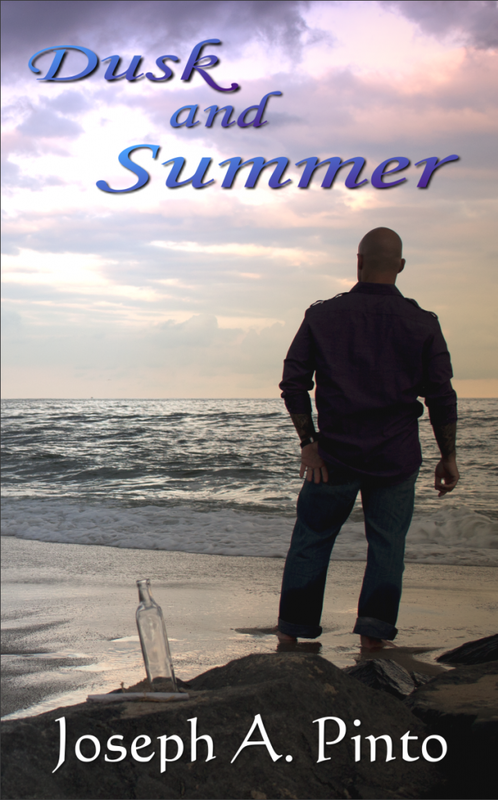 Hi Lucinda – great review of Dusk and Summer by Joseph Pinto! Thank you, but the thanks really should go to Joseph Pinto for writing such a wonderful book. Thank you very much for the kind review. I know you actually read Dusk and Summer when I had self-published it some time ago. The second edition, put together with much care and love by the ladies of Sirens Call Publications, is nothing short of amazing.